"When ideology reveals itself to have a history after all, an analysis of social choreography would be the critical method that asks not what things stand for but how they stand at all." We are Tal Beery and Eugenia Manwelyan, the husband and wife team behind Best Praxis - a collective creating art and performance through intimate encounters, adaptive reuse, and place-making. Our work aims to expose the ways that contemporary hegemonic structures determine the experience of the body in space. We have used the framework of social choreography to ask: How are systems of power reinforced and reproduced by the body? How can the body and the aesthetics of the body in space combat oppressive ideology? We have had the pleasure of collaborating with some of the most exciting thinkers and artists working in social choreography, including Ulay, Michael Klien, Steve Valk, and Jeffrey Gormley. With them, we have participated in Choreography for Blackboards (as part of the Coil Festival, performed at The Invisible Dog), RICEAN School of Dance on Hydra (presented by the Institute for Social Choreography, Greece), the Movement Discovery Workshop (Martha Graham Dance Company, New York City), and Parliament (Michael Klien, Greece). Independently, Best Praxis has produced Draftwomens' Congress (The New Museum, New York City), Met Action (Metropolitan Museum of Art, New York City) and Exorcism of the Spirit of Enterprise (Ellen Phillips Samuel Memorial Sculpture Garden, Philadelphia). 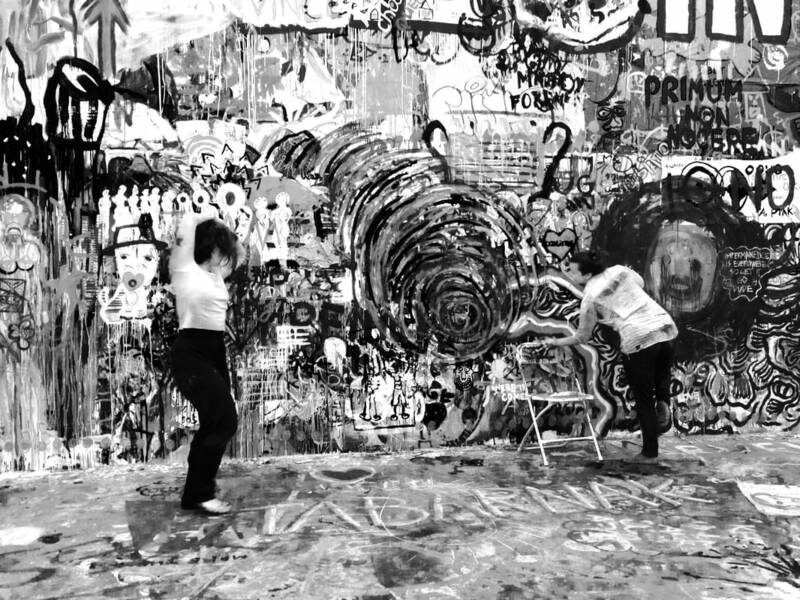 These projects have used social choreographic principles to re-contextualize the experience of ownership, agency, and power within cultural institutions and icons. Our Reading Residency is an ongoing project that takes place in the homes of artists, activists, and scholars and reimagines the artist as audience, attentive listener, creative observer, and forever student. In recognizing the porous membrane between the aesthetic and socio-political realms, we are seeking to address all the many ways in which embodied movement is political and ideological. Best Praxis is allowing embodied experience to help guide the creation of new social and cultural forms, art to transition us into the next society.